June 18th was Father’s Day in 1933. 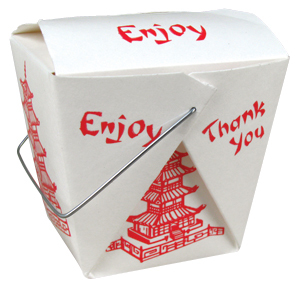 And he LOVED Chinese food. Good questions…wish I’d thought of them sooner. Not only was Chinese food the treat of treats, it brought him into the kitchen after he retired. Serious Wok action. This was the attitude, if not the reality of the ancestral home cooktop. 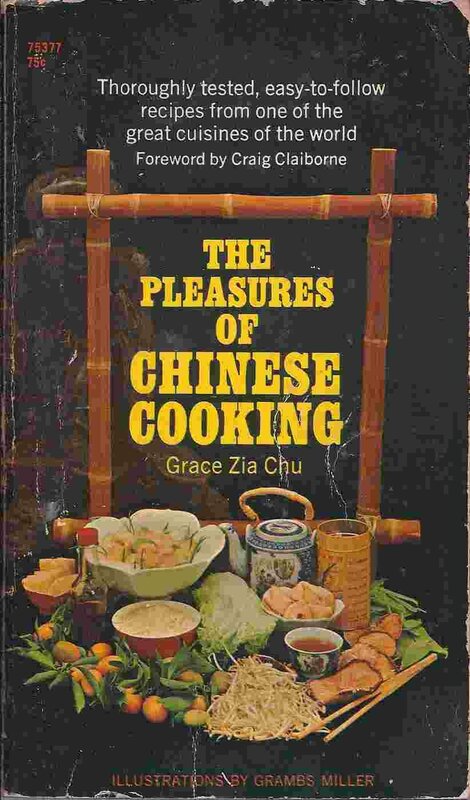 For a very long time, perhaps as far back as the ’70’s, a paperback copy of “The Pleasures of Chinese Cooking” by Madame Grace Zia Chu has been kicking around . 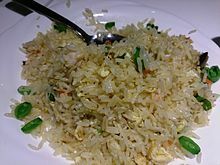 Several recipes have markers….but the basic of the basics is Fried Rice. Mix the soy sauce with the sugar. Set aside. Beat the eggs and scramble them slightly in 1 Tablespoon of the oil. Set aside. 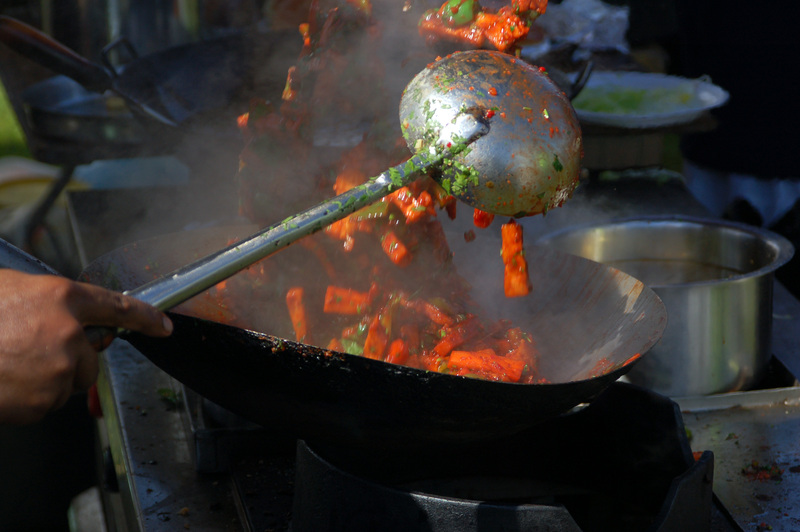 In a heavy frying pan or a wok heat 3 tablespoons of oil over high heat. Add the soy sauce/sugar mix, stir well. Add the ham and the slightly scrambled egg, mixing and breaking the eggs into little pieces in the rice. NOTES: The rice needs to be THOROUGHLY cold or all you’ll get is a sticky mess. Madame Chu’s note and my experience. Brown rice may be used for a more hippie version, just be sure that the rice is cooked thoroughly. Cooked chicken or beef may be substituted for the ham. The original recipe does not call for a wok, but I think they’re a little more common now, so if you got one, go ahead and use it. The original calls for ¼ teaspoon MSG, which I stopped using years, make that decades, ago. If that departure from the recipe makes it Irish/Chinese fusion, so be it. Call the Food Police. Guilty as charged. Grace Zia Chu. The Pleasures of Chinese Cooking. Pocket Books, March 1969. p.51. header –Snail, Fruit, Nuts, Grapes, and Pinecones by Giovan Battista Ruoppolo, 2nd half 17th century. According to Wikipedia, this is an American Christmas Cookie Tray. I found a shortbread recipe….or four….or six…..some have splatters and some do not….from the many shortbread years. This will not be a shortbread year. Maybe next year. I also found a recipe from my cousin Flora. She e-mailed it in 2006. This is her version, with some notes from me. I re-wrote the recipe in 2008, so I had made it several times by then. An easy add to the Holiday Tray. Bake in the upper half of oven at 350 degrees for 10 minutes. Tops will be white but bottoms will be brown. Makes 36 cookies. Cool and glaze. Store in a covered container and they will last for a couple of weeks (you won’t get to this point because they will be eaten like grapes). If there’s a mug, it MUST be a real holiday! Many recipes call for sugar, too…add or not as your choice. Ice cream on top is never a bad thing. In Charlemont MA there was a little place serving Indian Pudding with Pumpkin Ice Cream – genius! Do I need to say any more??????? The corn muffins of my youth. Add blueberries or cranberries or just serve warm with butter and honey. And now a link for a recipe…..
Fen grapes, marish worts, mosse-berries, moore-berries, fenberries, bearberries, croneberry, cramberries…..how many nick names can one little bouncing berry have? Berries, cinnamon, ginger, sugar and small raisins between pastry. Bake is implied. Easy. – Florence H. Angley. A Book of Favorite Recipes. complied by the Ladies Solidarity of St. Joseph the Worker Church Hanson, Mass..1968. p. 52. This is sometimes called Mock Cherry Pie. I’m also very fond of Kirk Douglas…. Kirk Douglas AS Vincent Van Gogh…. I posted Van Gogh’s Potatoes recently…and then I found a celebrity recipe site – really, there IS such a thing – and there was Kirk Douglas with a potato recipe. Place potatoes in a large pot and cover with salted water; bring to a boil. Reduce heat to medium-low and simmer until potatoes are tender and split open, about 20 minutes. Drain and return potatoes to pot. Mash potatoes with butter, nutmeg, and salt using a potato masher until well incorporated; stir in sour cream and whip until mashed potatoes are creamy. …was September 5th – I can’t believe I missed it! But wordpress was too busy publishing what I was trying to schedule, so the docket was pretty full that day, anyhow. Might I make a few changes…. 2. then – instead of strawberry preserves, why not some sweet tomato jam – here’s a recipe – I’d leave out the hot pepper – or not…. National Pepperoni Pizza Day is February 9th. People, people who need pudding…. But one thing Babs said really caught everyone’s attention: she said in one of her first visits to Boston, she went to Durgin-Park and ate Indian Pudding. But then just recently, she said, when she asked about Durgin-Park, she was told it was closed! We’re not sure who Babs was talking to, but clearly they provided her with wrong information. Durgin-Park is still open for business, and after Streisand’s concert, the restaurant was deluged with phone calls the next morning. “Were not closed, we’re still open,” said Petya Petkova, one of Durgin-Park’s managers. in case they ever do close. They have been serving Indian Pudding since 1827 when they opened. Barbra – save this recipe!